Really, another currency converter? Yes. One for the hardened backpacker. 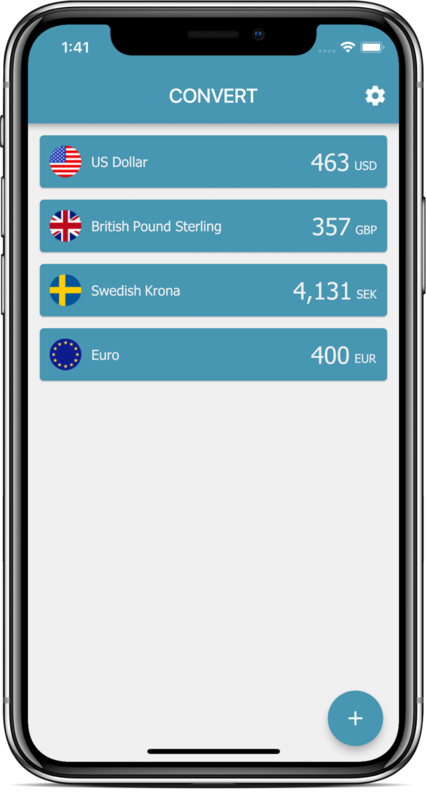 XE Currency Converter is brilliant but heavy. You don’t need historic currency rates or graphs, you just need a simple money converter with reasonably up to date currency rates. And here it is. A basic offline converter in your pocket. Convert money on the fly. When you’re in the store trying to figure out if you’re getting ripped off buying shampoo. When you’re discussing scuba prices with that guy you just met who only speaks in terms of Euro or when you’re on a mountain trying to figure out if you got a better deal than the next guide for your porter. When you’re on the road life isn’t all 4G and WiFi. You need an offline converter to manage wherever, whenever. When you’ve just got off the plane and need to buy a SIM card or when you’re at the currency exchange and need to compare their rates with the actual rates. TravelRates offline converter will give you the rates from when you last had internet and honestly, you’ll survive having rates from one or two days back. TravelRates allows you to choose several out of 168 different currencies for comparison. Because when you’re travelling it’s useful to not only compare with your “home rate” but also between the countries you visit. TravelRates is designed to be as easy a money converter as possible. It has the bare minimum but just what you need. 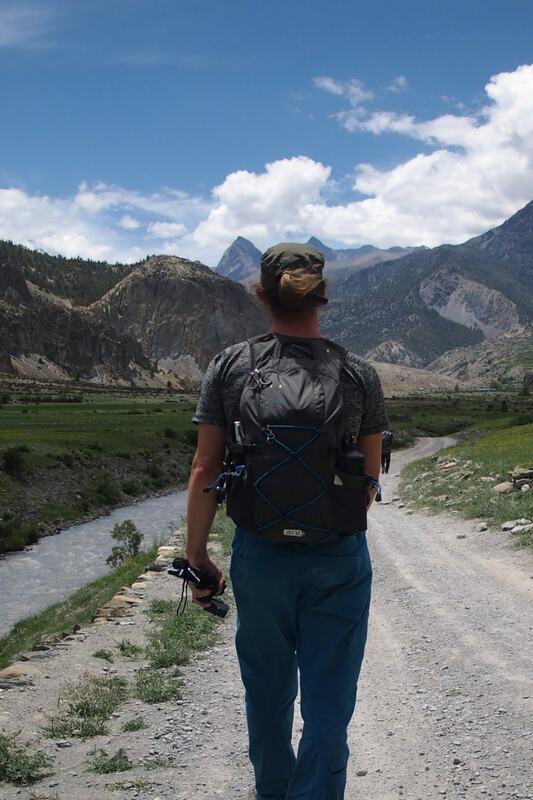 Don’t Convert money like a pro, do it like a backpacker. Simple and fast. Nothing fancy, just perfectly good enough. The TravelRates money converter is made for people who travel, who need to compare apples with pears. Track any number of currency rates side by side. When travelling between many countries it is easy to loose track of where is baht, dollars or rupies. 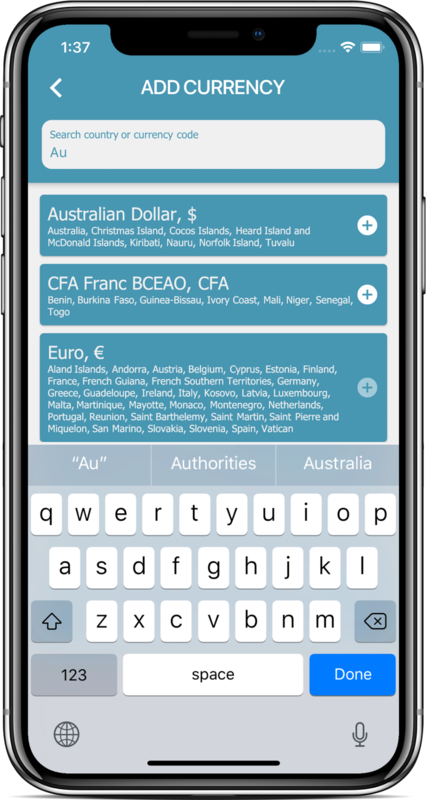 Search currency by country, code or name. TravelRates is built to be a simple converter. That means for one purpose and reduces all the steps in between. It keeps the currency rates offline so quick and simple. No extras. No fluff. Just money conversion. Get the simple fast offline conversion in your pocket now. No fuss.